Many senior citizens are prone to injuries due to fall accidents, decreased mobility, and overall deterioration of muscle. It's hard getting older, but it doesn't have to be painful. The therapists at Performax Physical Therapy and Wellness are experts in mobility training and injury prevention, but more importantly, rehabilitation of previous injuries. Our goal is to help our seniors maintain or improve their level of functioning and help them lead more active and independent lives. Contact us today to learn more about our Senior Rehabilitation Programs. LongIsland senior rehabilitation plays an important role for overall well being and recovery of the body especially healing injuries after a fall, strengthening of muscles and stability. 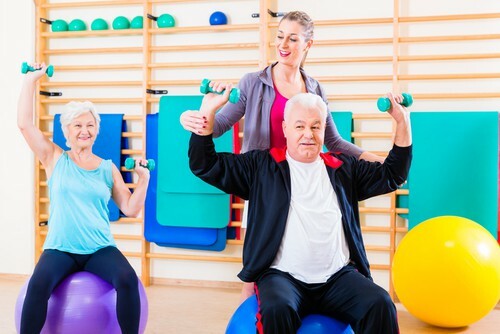 Contact us at Performax Physical Therapy and Wellness Center for our senior rehabilitation programs. Why is Long Island senior rehabilitation so import? As we age our body’s ability to heal and maintain stability starts deteriorating. Our muscles and joints also begin to lose their strength and become more painful and fragile. Suffering an injury of any kind can result in tremendous and prolonged pain and falls are often experienced as a result. This is why senior rehabilitation helps you to reduce the pain by strengthening muscles and joints as well as to recover faster from injuries. Falls are one of the largest culprits leading to most senior injuries, and once a fall is an experience, the individual is likely to experience another fall within 6 or more months on average. This can often lead to hospital stays and serious injuries such as hip fractures. Rehabilitation will aid in recovery, pain management and regaining balance to avoid future falls from reoccurring. In both short and long-term rehabilitation the goal is to ensure that the individual is able to go back to an independent active lifestyle. Our professionals at Performax Physical Therapy and Wellness Center are highly skilled with years of experience and the dedication to help you get better and lead a life with the quality you deserve. We are experts in mobility training, injury recovery and prevention no matter what your age. We strive to assist our senior clients to regain and improve their levels of mobility assisting them to enjoy an independent life and practice daily tasks in a safe manner. Long-term rehabilitation can lessen the chances of a fall from reoccurring, and thus the possibility of living independently is greatly increased. Rehabilitation restores stability, trains the muscles and gait movement as well as increase stability and function levels, while reducing pain. The sense of coordination is greatly increased which is one of the key-factors which goes in hand with balance. Rehabilitation builds senior confidence to be able to perform tasks independently and safely. 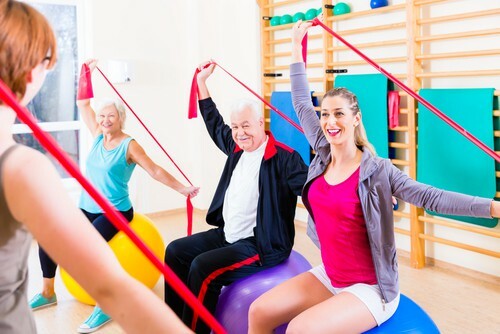 Getting started with senior rehabilitation sooner than later proves highly beneficial and will ensure that you’re able to enjoy a safe independent lifestyle. You don’t have to wait for an injury to occur before you’re able to help your loved one to gain the benefits of rehabilitation. Starting sooner will help them be safe and stable thus preventing future falls long before they could occur. We offer innovative Long Island senior rehabilitation that’s designed to work. Our team of professionals are patient and caring. If you’re looking to get started, simply book a consultation and let our professionals assist you!